A big thanks to all the staff of Dunnes Supermaket Creamery Retail Park Newry. 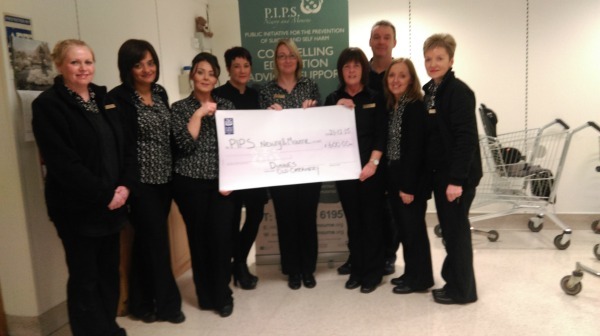 The staff held a very Successful Christmas jumper day on the lead up to Christmas and raised £600.00 for PIPS Newry and Mourne. On behalf of the charity, Fundraising worker Eamon Murphy thanked the staff and management for their commitment to supporting our charity, during a very busy time for them all.